FrogScapes reflects our love of nature and our passion for life. We take enjoyment in incorporating fun and laughter into our daily lives. FrogScapes started with an email "would you like to kiss a frog, or photograph one? ", which led to love and a wedding, and then to a pet red-eyed green tree frog named Pixel - and it has evolved from there. The photographs herein are a direct result of our appreciation of life's everyday miracles and our love of frogs. The utter enjoyment of taking these FrogScape photographs has also led to photographing other critters (like chameleons, geckos, praying mantis, and other wonderful critters). 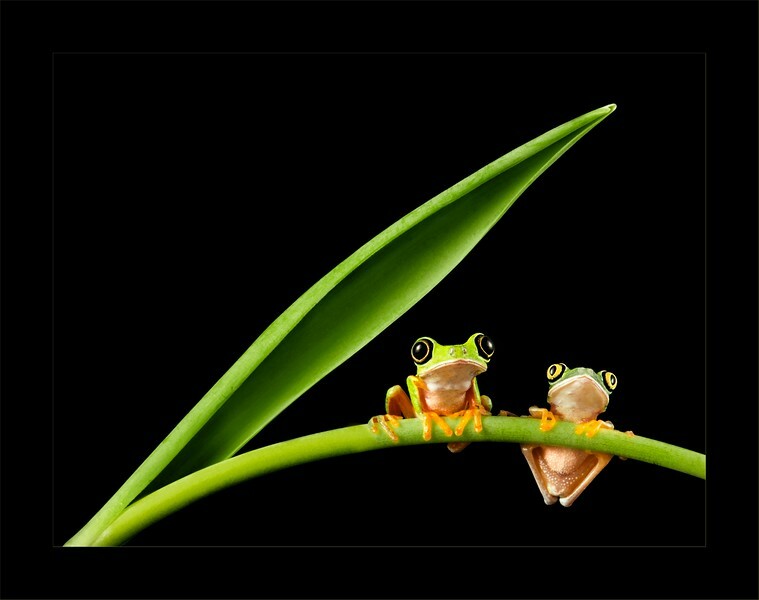 FYI, No frogs are hurt or stressed while creating these photographs.